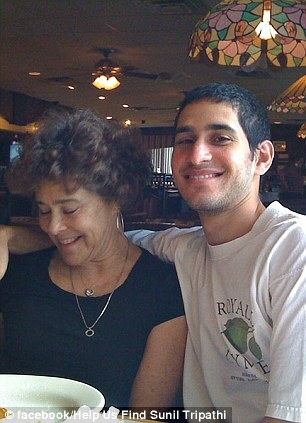 Sunil Tripathi, looking like Tamerlan Tsarnaev. Reportedly, police have found the body of a man in the Providence River, near the Wyndham Garden Providence Hotel, Rhode Island. The police think it is 'very possible' that it is missing student Sunil Tripathi who was accused of being one of the Boston Marathon bombers. Tripathi, 22, was a Brown University student and has been missing since March 2013. Authorities are hoping to reveal the identity of the body today, but police lieutenant Joseph Donnelly told The Boston Globe that 'it's very, very possible' that it is Tripathi. Some people had claimed Sunil's name had been mentioned by police on the police scanner. Above, we see Tamerlan Tsaraev, or, is it Sunil? "A MICHAEL Jackson lookalike pretended to be the King of Pop to plug the star's last tour, his family claim. "The family also reckon clips showing the Thriller star rehearsing – later used in a movie – featured a double. "The allegations are in a £26bn claim against the singer’s concert promoters. Body language expert Bianca Cobb said: “The man in the clips isn’t Michael Jackson." Katherine Russell, wife of Tamerlan Tsarnaev. Allegedly, Tamerlan Tsarnaev was surrounded by 'spooky' people? Tamerlan married an all American girl called Katherine Russell. The Russell's home in North Kingstown in Rhode Island. Katie grew up in Rhode Island and has always remained close to her parents and sisters here, as well as her extended family. Katie first met Tsarnaev at a nightclub. Tsarnaev was seeing another woman at the time. Tamerlan, who, as a strict Moslem, liked girls and nightclubs. 'He was planning to represent New England at a national boxing competition'. At some point, Tamerlan seems to have been 'influenced' by the CIA. The delegation headed by the First Deputy Minister of Defense of Armenia, participated in the Armenian-American bilateral defense consultations held in Washington D.C. in 2011. The US military has close ties to Armenia. Uncle Ruslan Tsarnaev, who worked for the CIA-front organisation USAID. Uncle Ruslan Tsarnaev, who allegedly worked for the CIA, says that Tamerlan Tsarnaev was influenced by an American Armenian called Misha. Misha, a 'fake' convert to Islam, may have been a CIA agent trying to mind-control Tamerlan? The Armenian link - On the night of the gunfire and grenades, I was listening to the Boston police scanner. The cops said they were going to set up at the Armenian Church. It sounded like they were setting up an incident command post there. 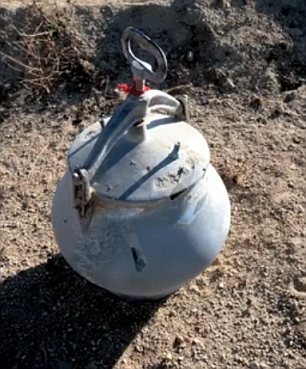 The notorious FBI alleges that Dzhokhar Tsarnaev, in his Israeli-run hospital in Boston, "has admitted that he and his brother planted two bombs at the race - and had learned how to make them through reading Inspire magazine." Reportedly, this is Dzhokhar Tsarnaev, seen on a store security camera, just before the alleged shootout with police. "With a bomb strapped to his chest, one of the Boston Marathon suspects was killed early Friday after he and his accomplice brother robbed a 7-Eleven..."
NO WAIT, THE POLICE APPEAR TO HAVE 'LIED'. "Police said Friday the suspects didn't hold up the store." "Margaret Chabris, the director of corporate communication at 7- Eleven, says the surveillance video of the crime was not taken at a 7-Eleven and that the suspect that did rob the 7-Eleven does not look like Tamerlan or Dzhokhar Tsarnaev. "'The suspect in the photos for that particular 7-Eleven robbery looks nothing like the suspects,' Chabris says. 'The police or someone made a mistake. Someone was confused.'" Pressure cooker devices were used in the 2006 train bombings in Mumbai, India, which killed 209 people and injured hundreds more. These blasts were 'an inside-job', carried out by government agents. On 8 November, 2008, the Maharashtra Anti Terror Squad revealed that Lt Colonel Srikant Purohit of the Indian military was involved in a blast that killed people in Malegaon in September 2007. The Anti Terror Squad indicted Purohit for supplying the RDX used in the blasts. It has been reported that Lt Col Srikant Prasad Purohit, the Army officer arrested in the Malegaon case, was involved in other blasts as well. here we go again, americans are doomed. if he was known since 2009, why the FBI release pics of him? I analyze the video showing Jackson jumping out of the coroner's van 'postmortem', and the purported "debunking" of that video in the MSM. I also link to the obviously Photoshopped funeral pictures and other odd anomalies (like Jackson's Shirley Temple doll). Interesting the Jackson family is now claiming the use of a double. I actually suspect that insurance fraud, tax fraud, or legal fraud is a big part of these Psy Ops/Hoaxes. For instance, the rapper "40 Glock's" career is in the gutter now that he sued another rapper for assaulting him. The image of him getting beat up by another rapper hurt his image with his fans. But California has a law called the "Fred Astaire" law that gives a lot of protection to people who have their identity and image used without consent. You get all the profit from the unauthorized use, plus attorney fees, etc. This is hugely powerful. What better way to dispose of a character than to fake kill him off and then collect damages for this killing off? And in Jackson's case there was a huge windfall from a big star dying (huge sales just after death). Plus, his death saved him the embarrassment of bombing on his first tour in years, which may have crushed his reputation. Now his family wants extra money after the double and fake death saved Jackson's career! I bet 40 Glock's character was written out of the script so they came up with this way to maximize his profits on the way out the door. He will probably settle with the Games' insurance company and none of these facts will ever be fully public. I can't tell if 40 Glock actually alleged the Fred Astaire claim (he implies this in his interview but don't see it in the summary of the complaint). In another case the "real" Rick Ross, a California inmate, sued the fake Rick Ross, a corrections officer turned gangster rapper, for stealing his identity under the California Fred Astaire law, but it got dismissed because he filed it too late. Hmmm. Be curious to see if the Jackson estate similarly sees this powerful claim go up in smoke (because they can't find enough evidence to prove it--they're looking for the double, etc.). "GRAFTON CLOSE KIDS IGNORED BY POLICE"
TSAEROVS WORKED FOR THE CIA? THATCHER'S FATHER LIKE JIMMY SAVILE? WHO ASSASSINATED THE PRIME MINISTER?